So Russia called this a month ago and no-one listened. Not surprised. This ff is the big story. The whole thing could lead to wwiii. I just feel as if there is more going on here with this attack in Syria, than it being a simple false flag to persuade Trump to keep US forces over there. On one hand, we were claiming that Trump is a strategic genius, playing 4D chess, etc, etc. 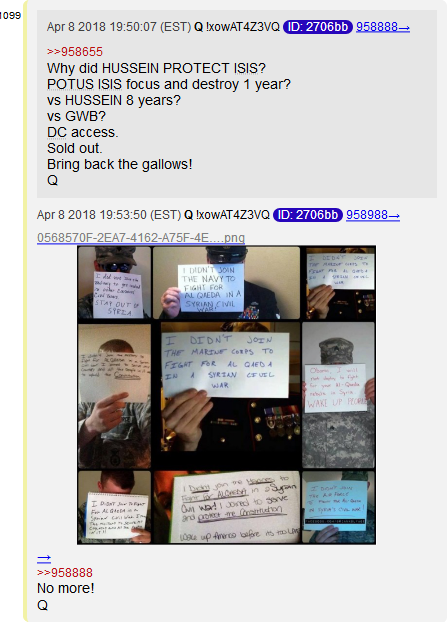 Then now we are saying he and his high ranking generals are going to be hoodwinked and manipulated like slack-jawed, salivating simpletons - by a stupidly obvious false flag attack ; that they can't see what's really going while just about every random on the internet right now can. This theory just doesn't add up. There's clearly much more going on here. Add to the mix that Trump has always said he'll never announce his military plans in advance like Obama did...and then he says he's going to pull troops from Syria. Clearly, the announcement was a ploy. Thats for him to answer. All I know is that the Cabal desire War. Funny, isnt it? I thought he was gone. Suddenly he re-emerges. PUTIN: "95% OF WORLD TERRORIST ATTACKS ARE MADE BY THE CIA"
Q is hinting that the enemies the US is fighting in the ME are mostly made up to keep the war machine rolling. All you need are actors and a script. Don't get me wrong people still die over there but Obama had 8 years to destroy ISIS and he couldn't accomplish jack sh!t. Did the MSM hold him accountable for it? Trump obliterated the real enemy in a year and the MSM still doesn't care. They need bad guys like NK,Syria,Iran and so forth to profit from. What happens when these countries suddenly decide we have enough of war? These people are sick. No war, no profit. 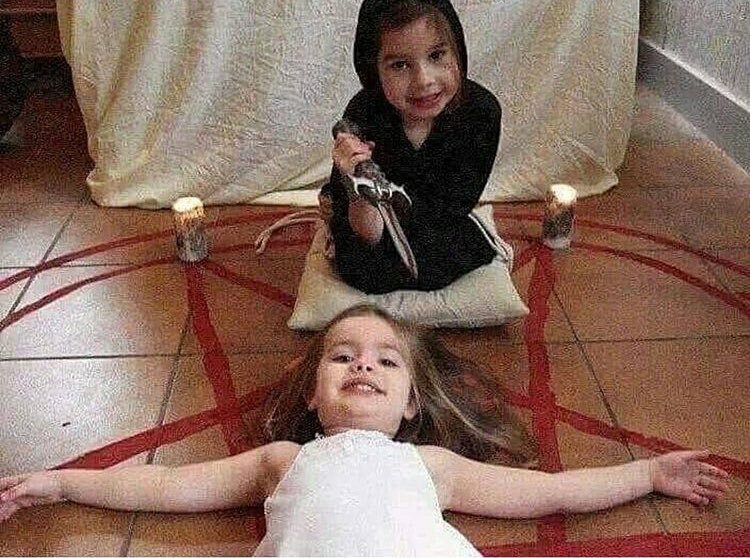 No war, no blood sacrifice. No war, no displaced children for kidnapping. Where there is no enemy, we suddenly turn attention to the real enemy. No war is such bad news for these sick people. 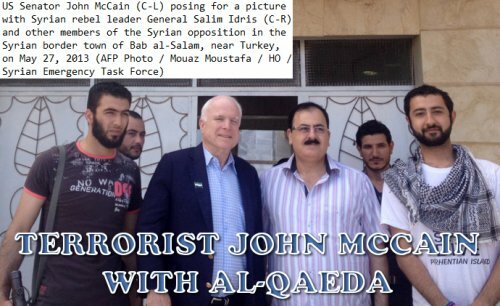 John McCain traveled with the "Syrian Emergency Task Force" to Syria in 2013, as this pic shows. Q and i are in sync. This is all a LARP, remember. It's just for fun.